A1 Classified uses Housing, communal residential, communal non-residential, commercial, industrial, outbuildings and ancillary buildings. A2 Interpretation The Building Code provides a list of defined words for interpretation. A3 Building importance levels Sets levels to describe risk and structure factors for the purposes of clauses C1 – C6 Protection from fire. Structure Buildings will withstand likely loads, including wind, earthquake, live and dead loads (people and building contents). Durability Confirming the use of materials that will remain functional for the minimum periods specified (5, 15 or ≥50 years). Objectives of Clauses C2 to C6 Safety objectives for people, other property and firefighting applied to clauses C2 to C6 of the Building Code. C2 Prevention of fire occurring Safe design and installation of fixed appliances using controlled combustion and other fixed equipment. C3 Fire affecting areas beyond the source Fire affecting areas beyond the source: vertical or horizontal fire spread, Material Group Numbers, surface finishes. C4 Movement to a place of safety Fire warnings, visibility of escape routes (smoke obscuration), automatic fire sprinkler systems, means of escape. C5 Access and safety for firefighting operations Access and safety for firefighting operations: access, hazards information and unobstructed paths. C6 Structural stability Structural stability during fire: buildings remain stable during fire (likelihood of failure or collapse). Access Routes Safety of entry/exit to the building and the safety of any internal or external stairs. Mechanical installations for access Safety provisions for people using or servicing mechanical installations in buildings, such as lifts or escalators. Surface water Disposal of rainwater from external surfaces and confirmation surface water cannot enter the building. External moisture External roof, wall claddings and external openings will prevent external moisture from causing undue dampness or damage. Internal moisture Surfaces in wet areas must be impervious, easily cleaned, and have ventilation to meet conditions for health and safety. Hazardous agents on site Identifying and neutralising any hazardous agents or other contamination of the building site. Hazardous building materials Safety for glass and glazing methods, asbestos and materials that give off noxious fumes. Hazardous substances and processes Safety from hazardous substances where stored, handled or used or where hazardous processes are undertaken. Safety from falling Safe design of all barriers inside and outside the building. Construction and demolition hazards Providing protection of people and other property during construction and demolition. Visibility in escape routes Safety features for escape routes during failure of the main lighting. Warning systems Provides early warning systems to alert people to an emergency. Signs Providing identification of escape routes, hazards, emergency-related safety features and accessible facilities. Restricting access to residential pools Restricting access by young children to residential pools. Personal hygiene Providing sufficient sanitary fixtures (toilets, showers and basins) for sanitation. Laundering Providing sufficient laundry facilities. Ventilation Requires ventilation to all occupied spaces. Interior environment Habitable spaces with sufficient space for activity, accessible facilities and controlled internal temperature. Airborne and impact sound Prevention of undue noise transmission in building elements between occupancies or common spaces in household units. Natural light Providing sufficient natural light for occupied spaces and appropriate visual awareness of the outside for occupants. Artificial light Requires buildings to have sufficient artificial light to safeguard people from injury. Electricity Requires the safe use and distribution of electricity. Piped services Requires the safe distribution of hot, cold or toxic substances. Gas as an energy source Requires the safe installation of gas-fuelled appliances. Water supplies Requires the safe supply, storage, reticulation and delivery of hot and cold water. Foul water Requires the safe disposal of foul water to prevent illness and the loss of amenity due to odour and accumulated matter. Industrial liquid waste Requires the safe and hygienic collection, treatment and disposal of industrial liquid waste to avoid contamination. Solid waste Provides for the safe and hygienic collection, holding prior to disposal of solid waste. Energy efficiency Provides for the efficient use of energy and sets physical conditions for energy performance. Backcountry huts Simplified requirements for DOC's backcountry huts, due to their special character as basic, remote facilities. Simple house The Simple House Acceptable Solution is for single storey framed construction using limited roof spans and claddings. Information and resources specifically for councils and building consent authorities (BCAs). A review report has been published about Tauranga City Council’s actions relating to the failed Bella Vista development. 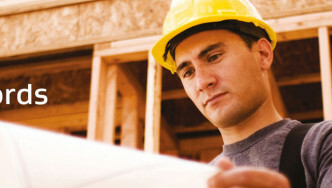 We are seeking your comment on proposals to amend specific Acceptable Solutions and Verification Methods for the June 2019 Building Code update.